My last 3D modeling project was about life. 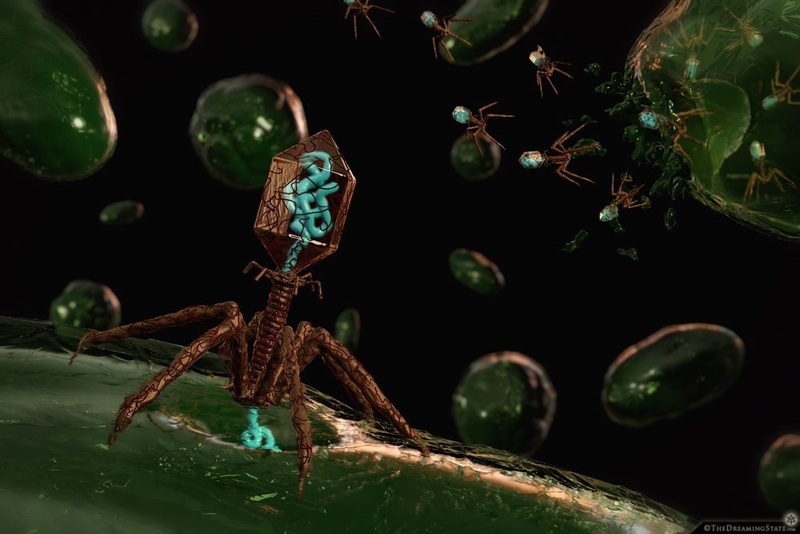 This one is about death… “The Virus” was a scene I constructed to tell the story of the bacteriophage, a virus that reproduces by taking over bacterial cells. Everything was sculpted entirely in Virtual Reality using the program Oculus Medium. I then added materials, transparency, lighting effects, and blended multiple different renders together in Adobe Photoshop. I am simply amazed at the power of Virtual Reality as a creative tool for designers and artists. I am further exploring VR in my creative workflow. 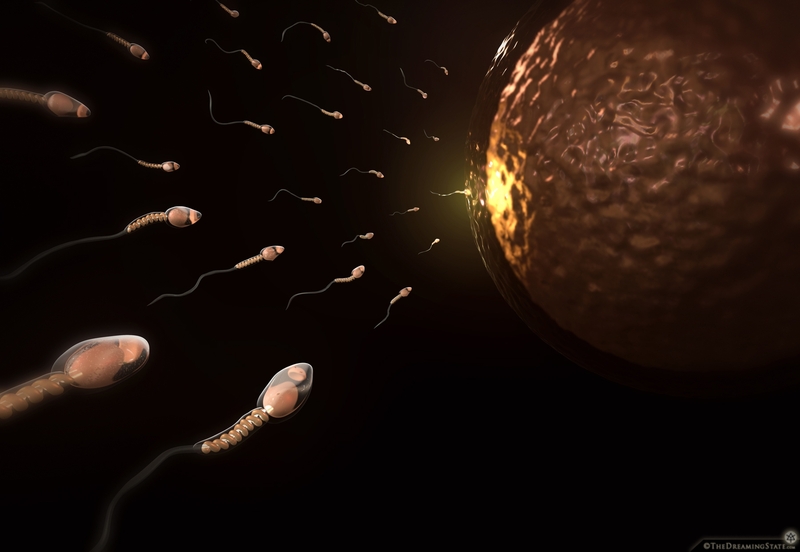 I wanted to create an illustration of the beginning of life, both as a scientific study as well as an artistic rendition. I quickly modeled the egg form in MasterpieceVR because if it’s amazing surface noise feature, allowing me to create texture right in VR. I then sculpted the swimmers in Oculus Medium using medical anatomical diagrams as a reference. After importing and arranging all the models, I added transparency, color materials, and lighting effects. This is the final image, completed in just a few short hours thanks to VR. Today was my birthday. I woke up this morning with the idea of making a portrait of myself standing on the beach. 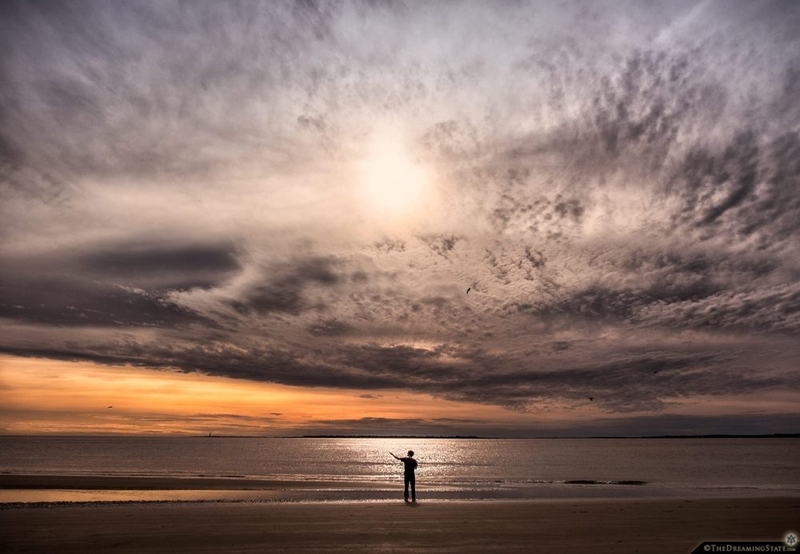 Not sure why, but it seemed like a really beautiful way to celebrate, reflect, and spend my day… So I drove to Sullivan’s Island, South Carolina, and set up my tripod. This is me, at 34. I feel like I am going to mention “Virtual Reality” quite often in this Blog. The technology is very inspiring to me, and I think it is something more and more individuals and companies will jump on. VR is still a fairly new technology, but I truly believe that in the near future it will become a huge part of personal entertainment, gaming, but most of all… CREATIVITY. I have been experimenting with the idea of using Virtual Reality as a means for graphic design. In software such as Oculus Medium, I am able to quickly “sculpt” three-dimensional graphics (like in this example), place lights around them, and then edit a final image. 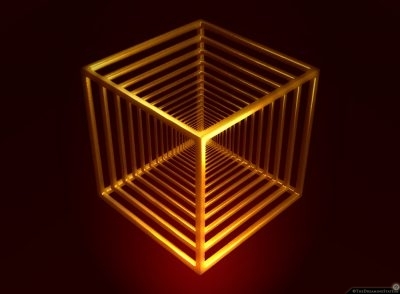 In hardly any time one can create an eye-catching 3D logo… VR is an incredible and intuitive tool for creatives because it allows us to “step inside” our computers and use our hands to create (as artists should). Another new Virtual Reality sculpt. I know, this piece ended up a little gruesome (and that’s not typically my style), but I like the dark humor of a shish-kebab of brains! 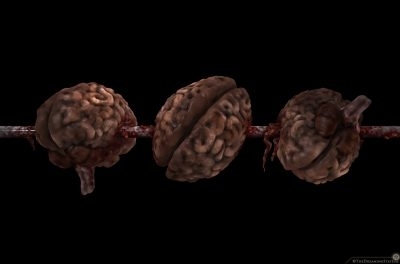 A brain-kebob!… I have been sculpting various objects in Virtual Reality using a program called Oculus Medium. I wanted to test my skills in creating an organic form from photographs, and so I sculpted and painted a human brain. After that, I needed a creative way to show the 3D model from various angles in one single image. I got the idea of sticking a few of them on a skewer at different rotations. Of course, I then had a bit more painting to do. 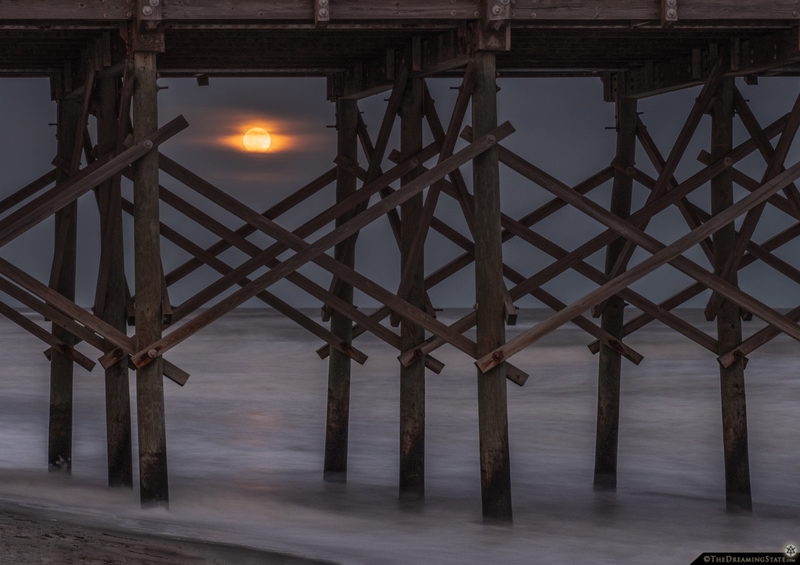 Many weeks ago I marked today on the calendar because the moonrise and sunset were at exactly the same time. This is perfect when you live by the ocean, and it just so happened to be on Thanksgiving… I ate my meal and went to the beach. 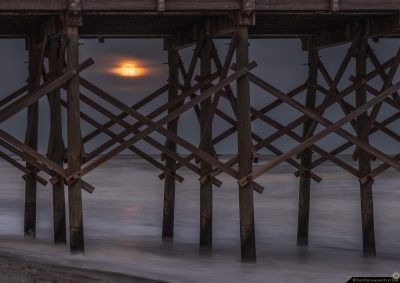 It was very cloudy, but the sunset was brilliant, and the moon peeked out for just a few minutes, long enough to set up my tripod and capture this… I’m thankful for that. My newest work involved making patterns from photographs. My plan is to being photography into the realm of textiles. 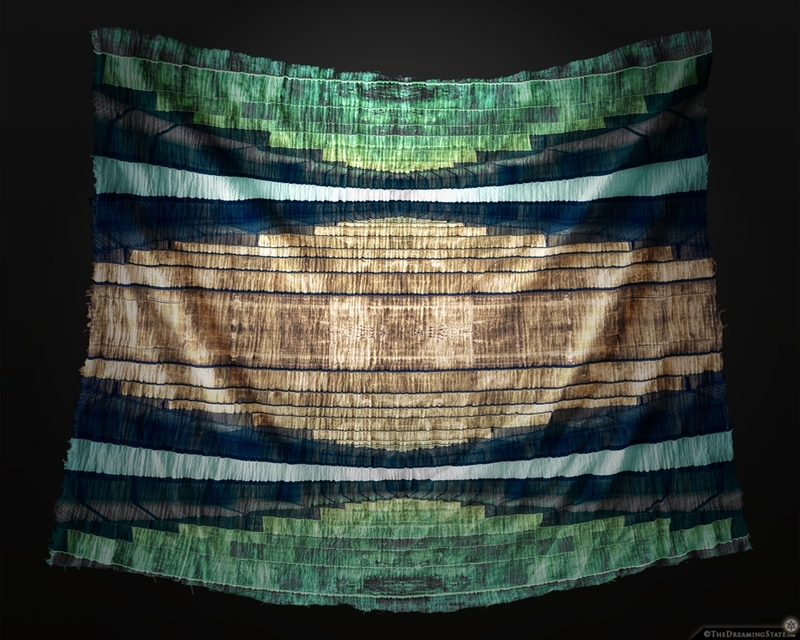 In order to visualize the final product, I have created a process in Photoshop to “fake” what an image might look like on various types of fabric… This is a photograph taken under a bridge, mirrored and manipulated to create a pattern. 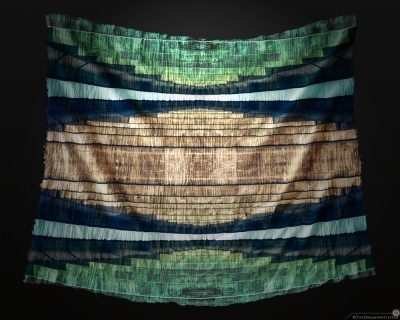 I then photographed a piece of hanging fabric, and developed a method to bend and blend the image into the fabric. Now I can see exactly what the final product might look like. 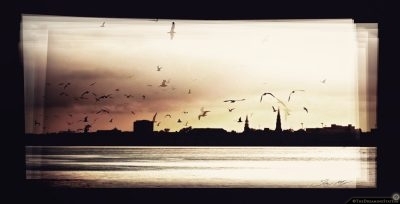 I was standing on a pier looking over into the city of Charleston when tons of birds began flying around. 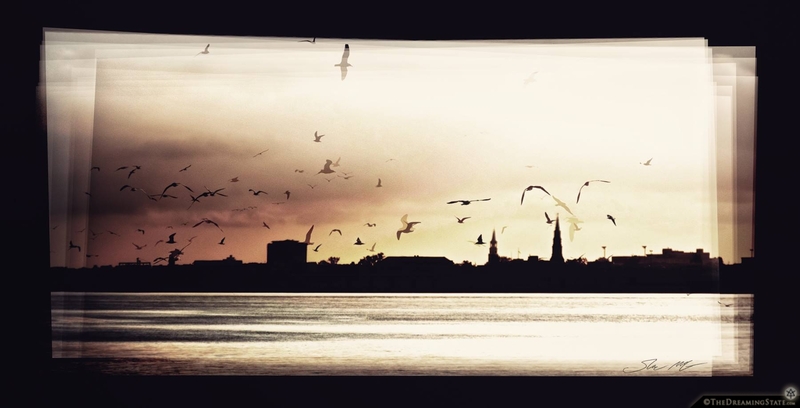 I loved the background of the silhouetted holy city, but the flock of birds was not easily understood in a straight photograph. I decided to get conceptual with the work. I made a bunch of exposures as the birds flew around, then layered and blended them all into one image, aligning the background. Now I think the viewer can experience what I saw in one single image. I recently developed a set of Photoshop Actions that automatically create a tessellation out of a photograph by cropping it to a triangle and mirroring that piece many times. Of course, we are inherently attracted to symmetry and pattern, so I try to be very critical of the images I choose to move forward with. Furthermore, I process and edit the image to really make something pop… This began as a photograph of a lamp in an iron gate. 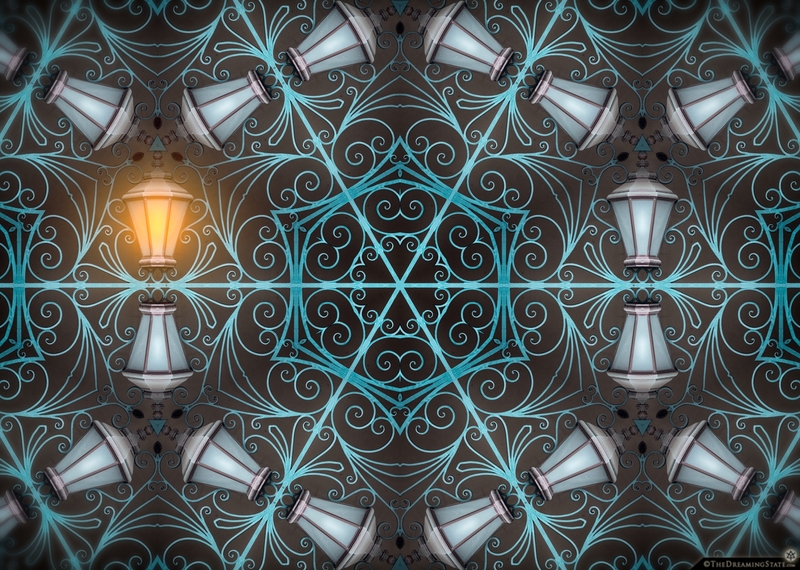 The patterns are stunning, but I decided to edit one of the lights to look “on” to break the symmetry and create a focal point. This is one of my favorite tessellations so far. Made some minimalism at the beach today. Then it started raining, so I was forced to leave… A constant struggle I have in the medium of photography is attempting to create something that doesn’t feel like “just another photograph”. I am not bashing straight photography (I love making regular pictures myself) but I believe in order to be “art” one must go deeper, beyond typical. Here, I am stacking multiple Neutral Density filters on my camera lens in order to block out most of the light. This allows me to make a long exposure in bright daylight, giving some very strange results. I have done this in the past and it is quite fun. 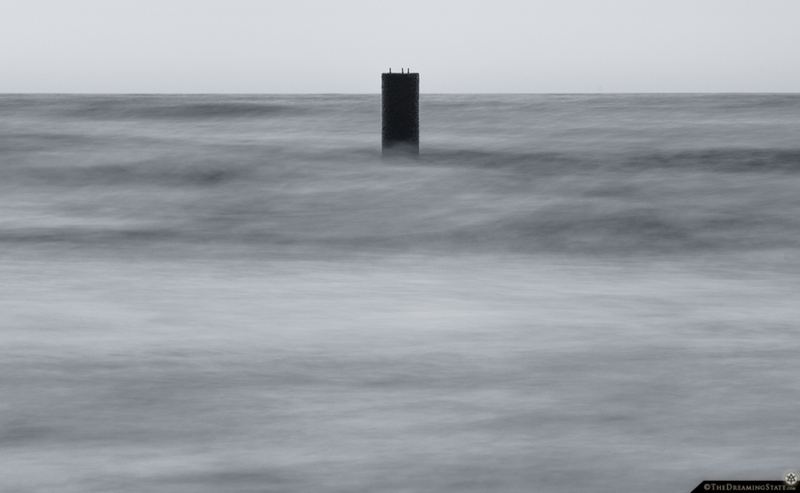 This was about a 10 second exposure of an object out in the ocean. Though I wish I had more time without rain, I was quite pleased with the simplicity and tonality of this image.